You may register for the class through pdCentral. This method is for those completing this training for the first time and/or those recertifying who prefer face-to-face instruction. Once in pdCentral, search for "Health," and choose the training needed and the location. For those who are recertifying, you may complete the online training through the Kentucky Department of Education (KDE) and then complete an in-person skills assessment check-off. See below for these steps. If you have never taken a course on TRAIN Kentucky, you must first create an account before proceeding. There are several steps to creating an account, and the instructions are on the above website. Once you have begun the selected training module, you may click Quit at any time and return to the same training later at a time of your choice. Course ID # 1028202: Medication Administration Training for Unlicensed School Personnel—Regular and ER Medications—This training covers all the information on the administration of regularly scheduled DAILY medications and all three emergency medications and is the longest of the training modules. Course ID # 1028209: Medication Administration Training for Unlicensed School Personnel—Regular Daily Medications Only—This training covers all the information on the administration of regularly scheduled medications. You will need to go through the course slides and take the test at the end of the program. You may use the Medication Administration Training Manual from KDE to complete the online final exam. You must score an 85 percent or higher on the open-book final exam to pass the course. You will need to download the certificate of completion, which can only be done after you do the course evaluation. Your training is not complete until the test (85 percent score or better) and the check-offs are complete. You must then register for in-person check-offs on pdCental. Search for “Health,” and choose an available place and time. 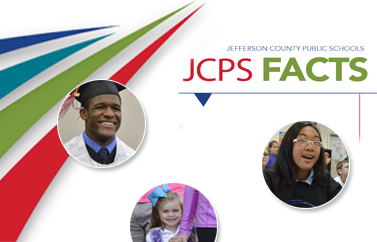 You must bring the above certificate of completion with you to a check-off course, as you have to review JCPS policies and complete a skills assessment. Upon arrival to the check-off, you will receive the JCPS Medication Administration Manual. Once completed, you will receive your delegation certificate. If you experience any issues with TRAIN Kentucky, please send an email to kytrainsupport@ky.gov or call (502) 564-4990.